Dedicated to the Word of God, my life, my inspiration for all my writings. What a tremendous opportunity we have to take a glimpse at the life of one of the most precious women in the Word of God through the original bible’s Book of Ruth. She is one of my favorites. In writing my story, I used and attempted to keep to the character’s traits and characteristics of that book as much as possible. Asking God’s assistance, I put together a short story of these familiar names and characters, only placing them somewhere else in time. One of my favorite settings for the books I love to read is the Civil War era. It holds such mystery, intrigue, and extreme choices of so many of our forefathers. This time in our nation’s history forced a molding and shaping of people that would not have happened under any other circumstance. So I’ve placed them there. 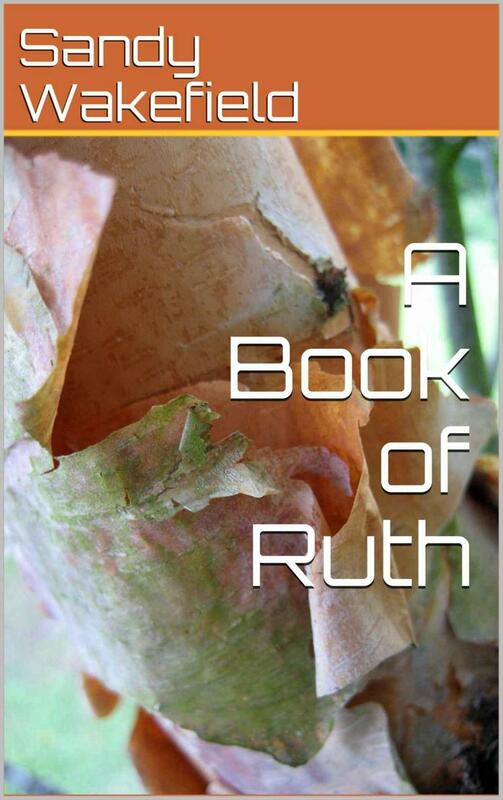 I put the chapters together that I tried to mirror the Word of God’s 4 chapters of Ruth. Anyone reading this book is encouraged to read the Word of God first. Then watch the characters, see how I did. In no way do I attempt to rewrite the Word, but merely adventured out to writing a short story of how it might have been, if another day, another time, another Ruth. And so it was, a famine in the land. Or so it seemed. The Yankees had finally taken and destroyed the last of the crops. What they couldn’t pack away, they burned in the night. “By God’s grace, we survived,” sighed Naomi, as she looked over the smoldering mess. “Survived? God’s grace?” exclaimed Orpah, as she brushed back her long blonde hair that was matted in a sweat that she still had found so dreadfully, disdainful in this latest chapter of her life. Her days of splendor and privilege had disappeared with the ravages of this war. As the smell of the burning flesh of the last milk cow was enveloping Ruth’s senses, she gazed across the hill to the small barn that had been their makeshift home for most of the winter, throughout the spring and into the beginnings of summer. The Yankees had burnt the big house last year, and now this. They had worked so hard on those fields to try and rebuild. Having gotten the crop in early, the strawberries had finally come in. The peppers were fresh on the vine. The onions were coming up. Ruth had just dug up a few for last night’s dinner. They had waited so patiently and finally boiled one of the old roosters that the Yankees had missed, in hopes that the laying that had begun would produce some new ones. The only hope that remained hope was possibly those potatoes would survive. Someone had once said to her, “faith like potatoes, Ruth. It’s hidden, unseen, it’s a treasure.” Maybe it was Naomi, she couldn’t remember. The war had consumed their land, but also their husbands. Peter loved his parents. The dreams came and went, night after night. Mabria would answer the screams of the young boy. She would just sing and rock him back to sleep. To Mabria, it always seemed that if she could just get him past these first few months, he would be ok. To Peter, how can I live without them? The days before had been long for everyone. The work never seemed to end. Getting in the crops was such a challenge in this weather. So cold, out of nowhere. Wasn’t it just so warm just last week? The chill had come in quickly, and so his father had sent him to the fields to help with the crop. They needed this crop. So many came and went through the farm, but they could not buy the food for them to meet the needs without fear of raising suspicions in town. Mama always had a soup on, and lots and lots of potatoes. Oh, the smell of her home baked bread filled the air the minute you got close to home. Peter loved coming home at the end of these long days. Mama worried for him, being so young. So he lapped up the extra attention from her. His long lanky legs carried him across the fields when the bell would ring that the day was done. His feet seemed to come alive at the sound of it, knowing what was at the other end for his 9 year old stomach that never seemed to really be full. This day would be different. The bell rang so early, Peter couldn’t believe it. And it did not stop. It just kept ringing and ringing and ringing. He took off across the field with worry. He actually didn’t see many others coming. What was going on? Then Mabria came and met him at the front of the house. He could see some of those strange men that had been hanging around town out front, loading up the folks who came up from the cellars. Oh no, and dogs, dogs everywhere, barking and barking. And somebody kept ringing that bell, why? Why were they ringing the bell? Then mama and papa came falling through that front door. Mabria grabbed his arm and his eyes caught his mama’s tear filled eyes as Mabria dragged him to the side of the house, into the lean-to. He wanted mama, not Mabria. He wanted mama. “Stay in here Peter, I got us a spot, your mama said stay here,” she whispered. This stopped Peter in his tracks; he always did what mama said. He looked through the cracks of the boards. The loud cracks of rifles rang out. Those men, they shot mama and papa, right there, right there in front of God and everybody. Peter was broken and fell to the floor. Mabria rolled him into a shallow hole she had just dug, climbed on top of him, and drug a board over the both of them and held her breath. None too soon, the dogs and the men were in the shed. Mabria knew it would take a miracle, and prayed as fervently as she knew how with out speaking aloud. The men and dogs stood right on top of them, they could feel their breath, and they could feel the heat of the chase right through those boards. God did move. God was real. Mabria saw that for sure that day. She hoped she could explain it to Peter someday. How God had rescued them. For some reason, He took Peter’s folks, but had left them to survive. “All of us knew, all of us knew,” she thought to herself. “How dangerous this is. We all counted it a privilege to serve God in rescuing the slaves that had made it across that Ohio River. We all counted the cost, and decided being a part of the Underground Railroad was worth the risk,” the thoughts consumed her. When those men left and the last dog left out of the shed, without a hint of them knowing Mabria and Peter were beneath that board, the tears fell from Mabria’s face onto Peter’s stone cold face of horror. She was such a small woman, petite and all of that. Beautiful to look at for anyone who took the time. Her heart pounded for her Savior, and she trusted Him in everything she did. She could not understand how He could allow this. It seemed betrayal. But was it? She and Peter had survived. And she knew it was an absolute miracle that they did. No question. Had to be. Peter could hear her now as he was packing the wagon. He hated to leave this town. Mabria’s home, his room, just next door to the home he had built for his new wife Naomi. Naomi’s parents were on the other side of their home. Naomi’s father had given them this home; the barn had been modernized and changed into a home for them both as a wedding gift. This wonderful town. These wonderful people. They had helped him so much. Helped him with a new life. It was time though. For the next page, if you will, the next chapter, a fresh start. Peter believed it was all God ordained when he received that envelope at the post office. He had gotten notice from the lawyer in Savannah. It was the death of his great-grandfather. No other heirs. No other living relatives. Claim his home, or it will be set for auction. Papa had talked about Savannah. He said his great-grandfather was horribly rich, but horribly mean. None of the family thought it was worth staying in contact with him. Papa’s father and mother had attempted to stay with him, but became embittered and moved north. They had both died in a typhoid outbreak before the raid. It was very sad. “Ah go on, she’s a good girl. Write me soon,” he hollered as Peter tipped his hat and drove out. “What was that ma?” Boaz asked. “You’re good at that mama,” he laughed. “Singing I mean, and trusting God as well. Speaking of which, I’m going to see if I can find Lucy. You need to trust me and God on this one,” he laughed. “Boy, off with ya,” she laughed. As Boaz ran on his way, Mabria watched the wagon disappear in the hills beyond town. Her mind could not be soothed. It was all coming back to her. The memories of that sweet little boy as his parents were robbed of raising him. She hoped she did a good job. It seemed so. Naomi loved him so much. “Those two, my goodness those two were inseparable as kids. I am so glad that Don came to our rescue so quickly after the raid. He married me with hardly a question. Just so he could move us into his home and under his care. Just so we would be safe from the raiders,” her thoughts were soft and unspoken. Don was an influential man in the community. The raiders had no interest in sparking a fight with him. They were not quite sure how involved she was at the farm that night, but they knew she was there and that she had escaped somehow. And they knew who Peter was. “If Don had not taken us in, and made it legal and without question, that we were his, with Peter’s legal adoption and all, we could have faced much trouble throughout life. Don never lorded it over us. He loved us and cared for us. Much as a man that came straight from God’s hands,” she remembered. “And that’s because he did,” she said to nobody there. She smiled and turned her way back to the store. Yes, there was much work to do. It looked like it was a good time to get started.